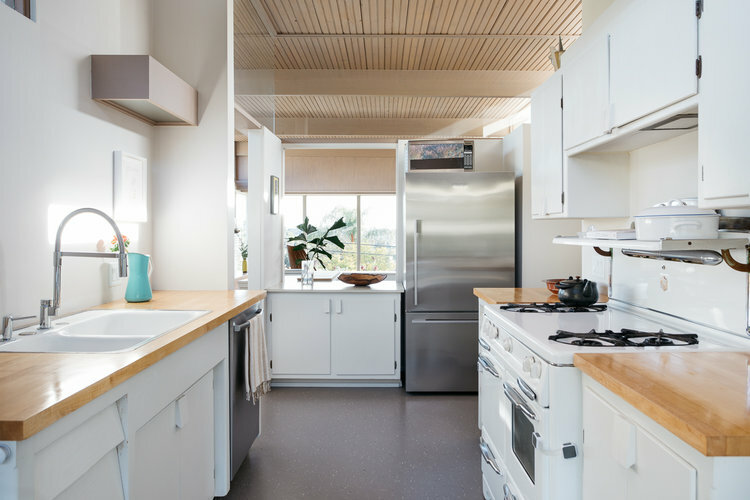 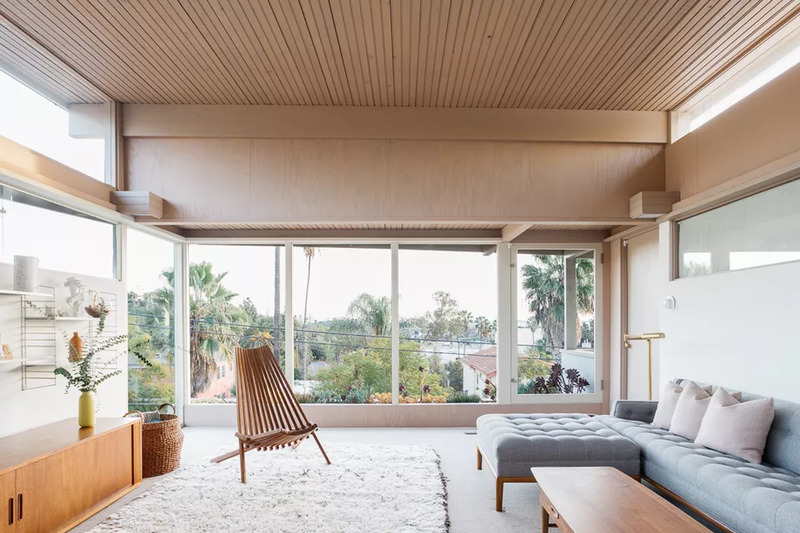 From the kitchen’s retro stove to the pink bathroom, this beautifully preserved example of California modernism is a modernist dream come true. 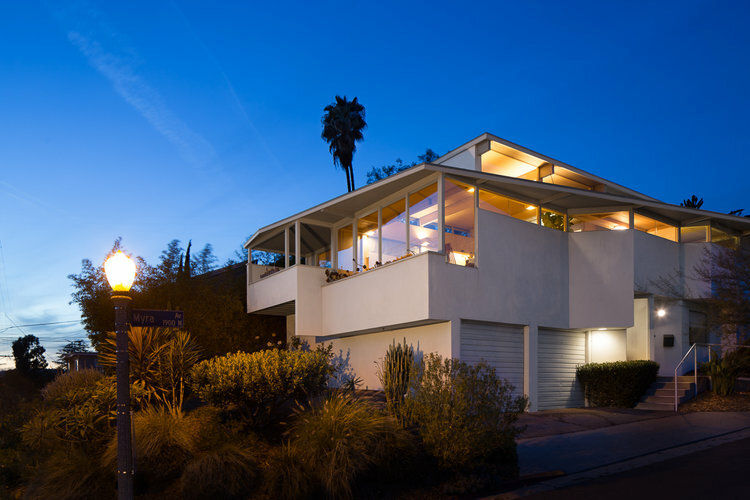 The house was commissioned in 1952 by LA City College professor Philip Schlessinger and his wife Phyllis. 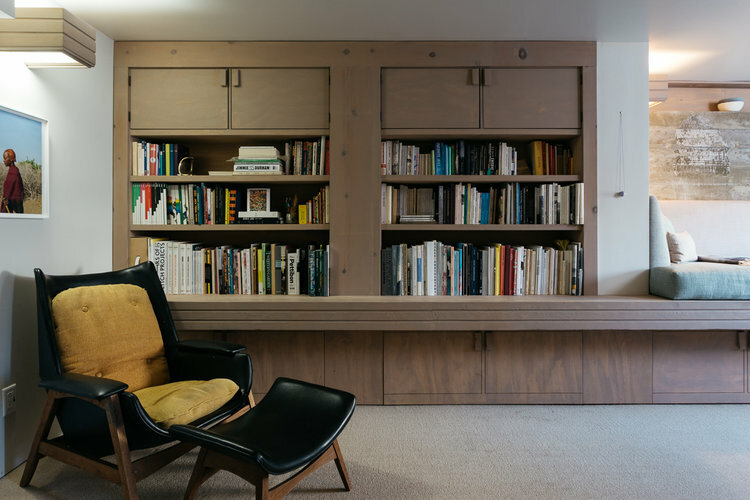 Rudolph Schindler died in 1953, giving this location the unfortunate honor of being the last house the architect designed. 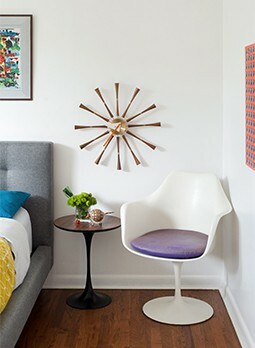 The two-bedroom, two-bathroom overlooks Franklin Hills and the classic Shakespeare Bridge. 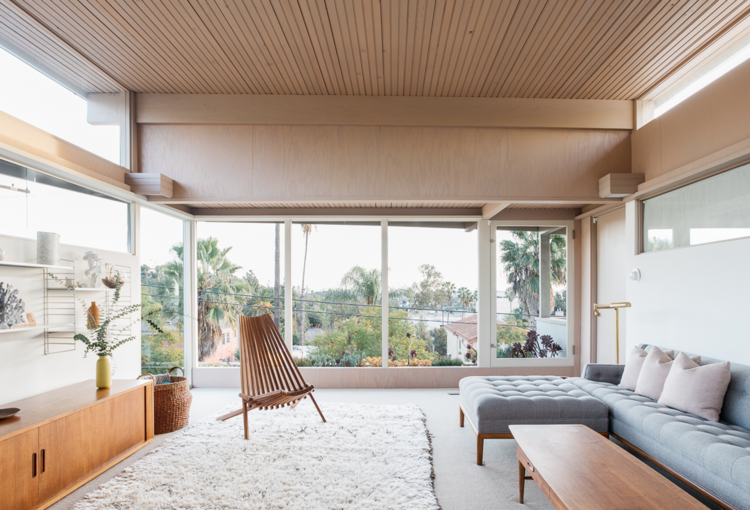 Clerestory windows and plentiful windows appear throughout. 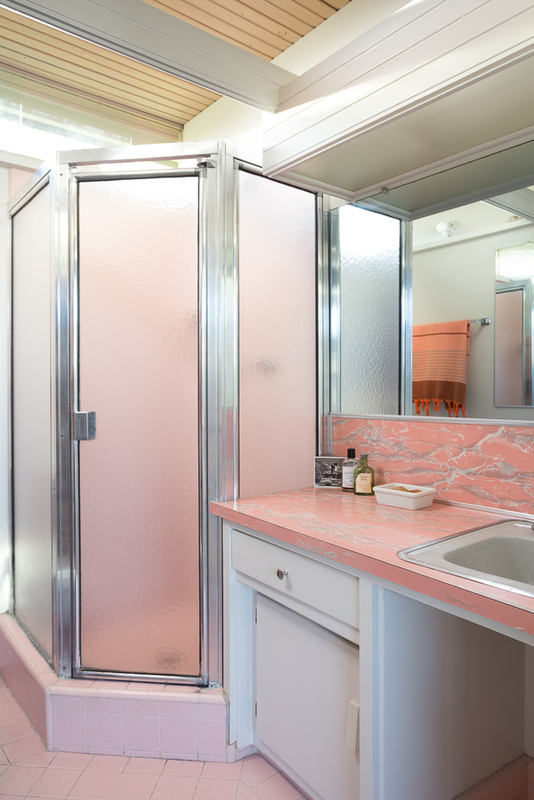 The pink tiled bathroom is a fun vintage touch. 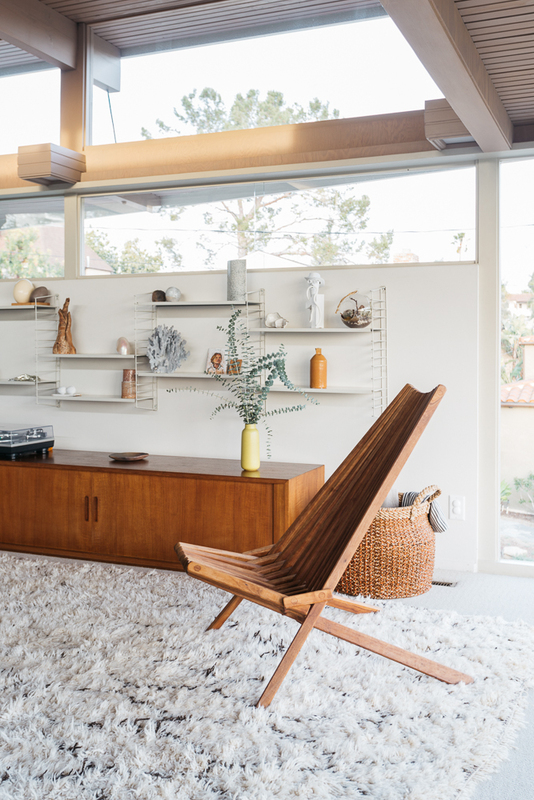 To see more of the Los Feliz, California house, click here.